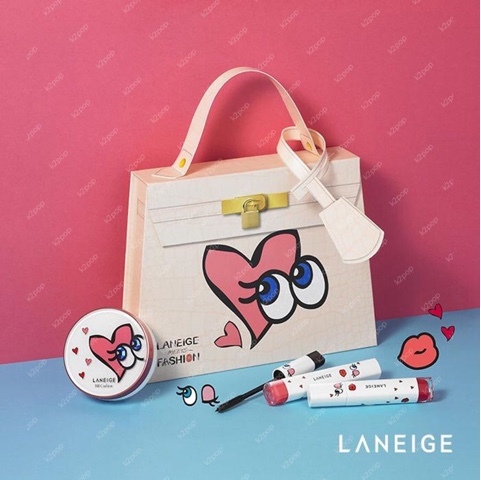 Finally , another collaboration from laneige. 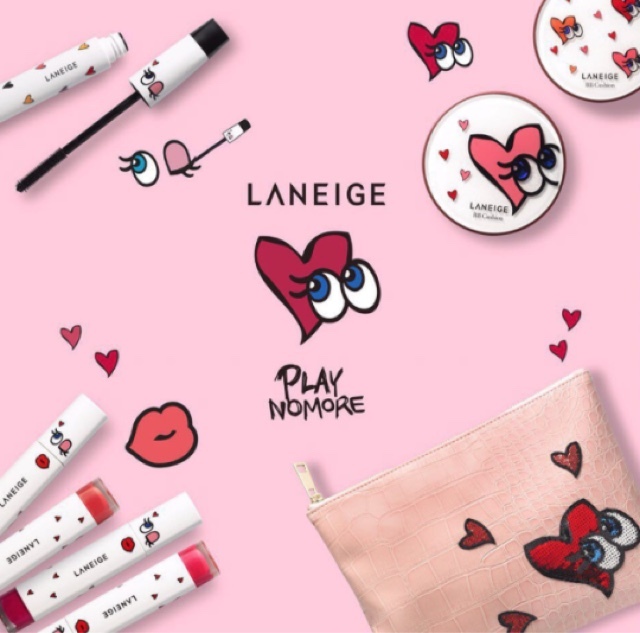 After stealing our hearts last year with their first Laneige meets Fashion collaboration with Korean label pushBUTTON , this year they teamed-up with Chae-yeon Kim , the designer behind popular label PLAYNOMORE. 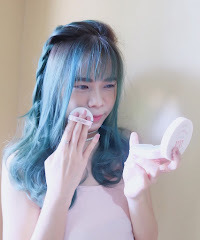 PLAYNOMORE Known for their playful rendition of the classic square bag - by adding their signature cute SHYGIRL eyes and plump lips. As for me , i really love their design , i think it's cute and must have item. And if you are a big fan of everything quirky , then this collection should firmly be on your must-have list this year. The limited edition collection set to launch in september. 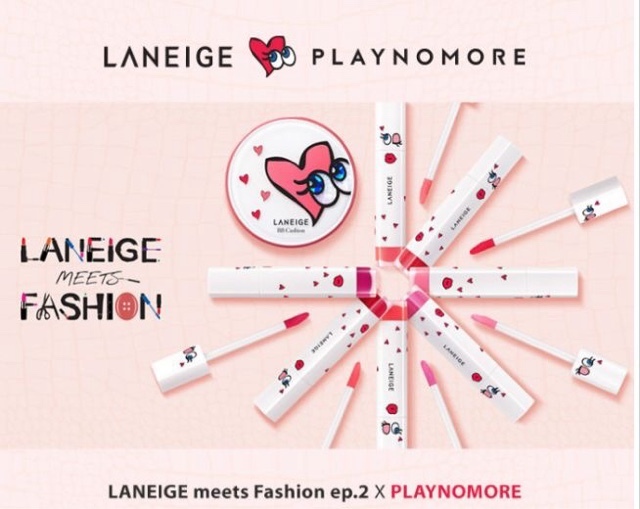 Apart from the adorable packaging featuring PLAYNOMORE's SHYGIRL wearing Laneige cosmetics and renamed as My Darling, SHYGIRL , conveying both brands aesthetics and sensibilities - the products in this collection are surely as covetable especially the latest creation- the Intense Lip Gel.